Even though I have left formal math behind several years ago (though somewhat later than it had left me behind! 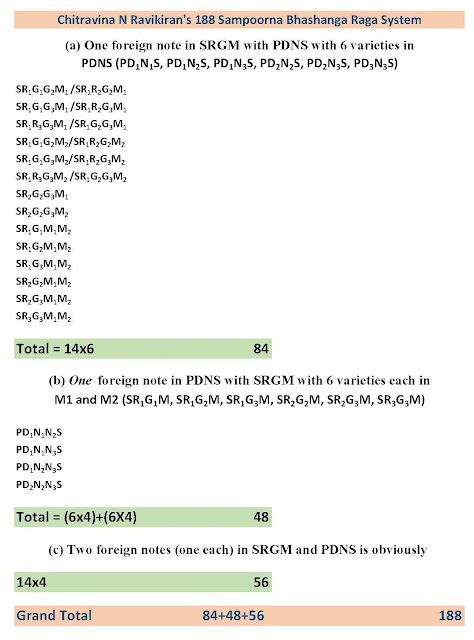 ), I have always had a fascination for numbers, some of which has been applied in original musical concepts I have popularised over the years including Seamless Korvais. This topic is completely off the music charts as it attempts to chart a different course in pure math in a fairly populated area - Squaring numbers. Doubtless there are several time-tested and elegant approaches to this including the most well known algebraic formula of (a+b)^2 and others based on pattern recognition. I found another approach staring me in the face this afternoon, literally in my half-sleep state. “ICC has ruined cricket, there is no real contest between bat and ball. Win the toss, bat first and there you go!” screams a cricket lover. “ODIs now are no less stereo-typical than T20s! Please ICC, change the nature of the wickets,” berates another. Several thousand feel the same way, whether they voice it or not. Teams scoring about 200 runs in the last 20 overs have become as unexciting as it used to be when they scored about half the runs in the same space. SA scored about 222 in just 15 overs in the latest against WI with De Villiers raking up 60 plus in the last 14 balls he faced, almost obliterating memories of Chris Gayle’s 215 just a match before. Ironically, this was 8 shy of their booty a few weeks before against the same team in Jo'berg in the last 15 overs, where AB's strike rate was 333 plus as opposed to a mere 245 in this match.